I would love to claim this as my latest DIY project, but I can’t… What I can do, though, is tell you that this may be one of my favorite decorative pieces I own. When the wonderful people at Bambeco contacted me to see if I’d like to review one of their products, I had no idea what I would find. I went to their website, and 30 minutes later, I was still sitting in front of my computer drooling over their gorgeous products. And the best part? It is all green: recycled, repurposed, renewable, reclaimed, regenerated, natural or organic. 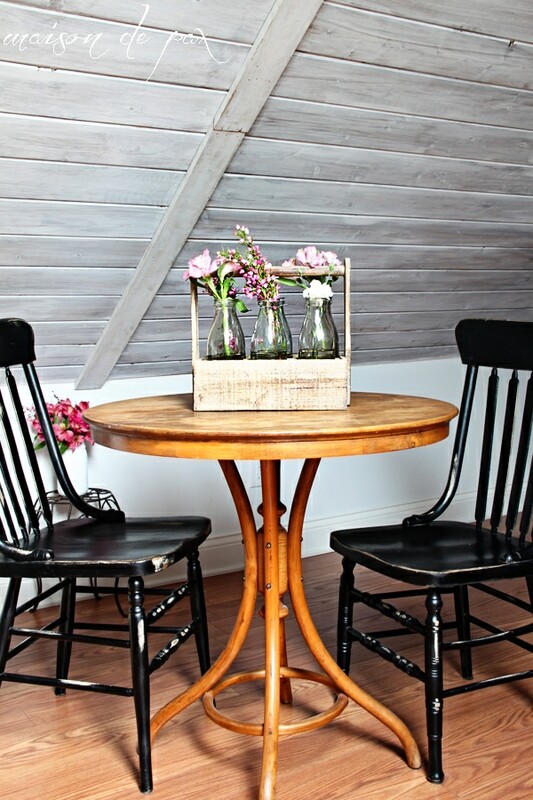 As someone who loves to salvage things and reclaim their beauty, I especially love that aspect. Beautiful, romantic, weathered, and worn. I love the smoothness of the handle, as if someone has been carrying it around for decades. 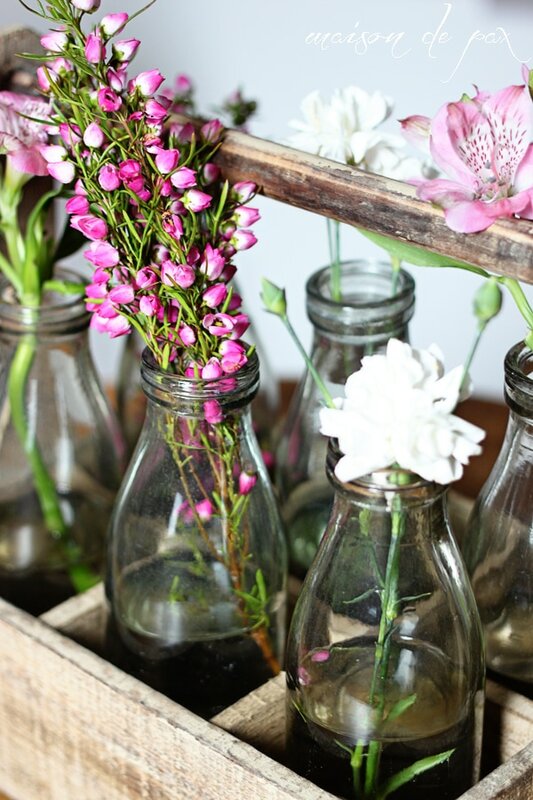 And the bottles are antique milk jars from the 1920’s – absolutely stunning in their simplicity. 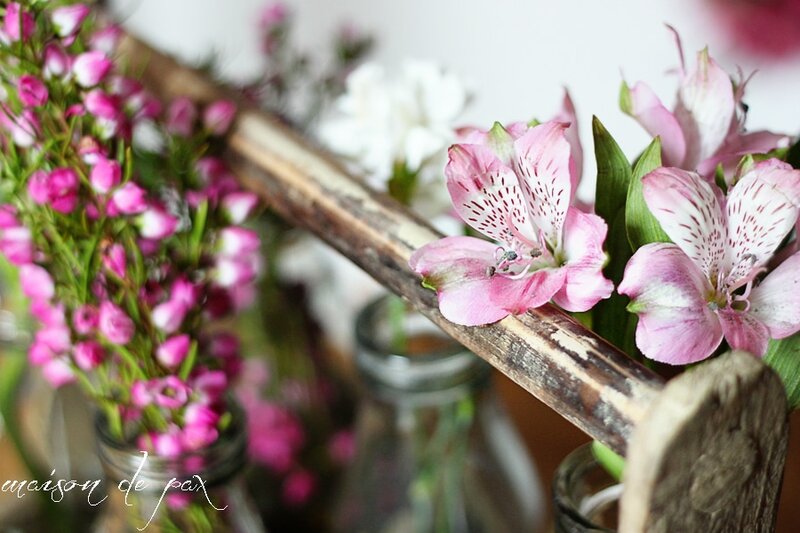 The entire piece is so easy to make beautiful, too. 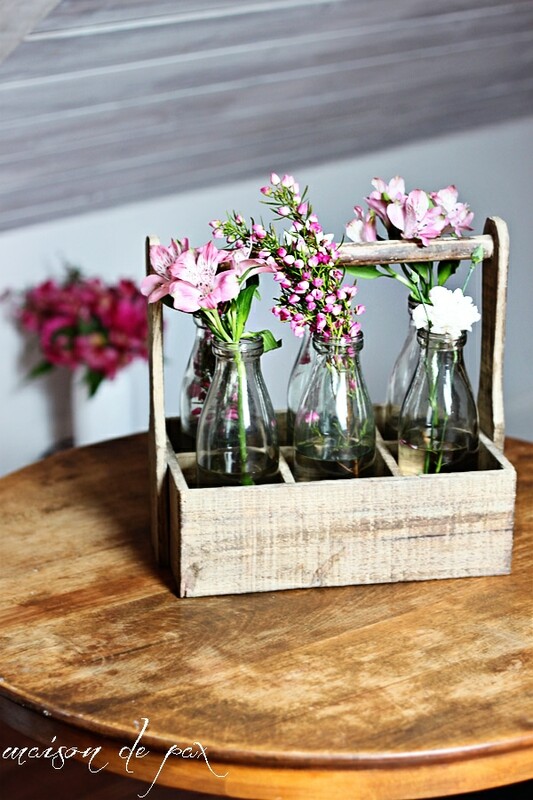 I used a few mere sprigs in each bottle, and the rustic wood with the glass bottles needs no more embellishment. 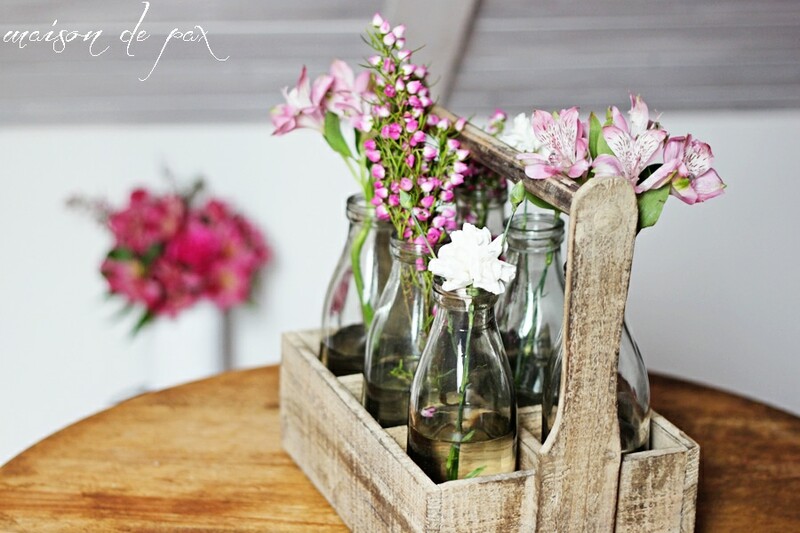 The caddy would hold many other things, too – it would make a stunning organizer without the bottles. Disclaimer: Bambeco was kind enough to send me this product in exchange for the review, but as always, all opinions are 100% my own! 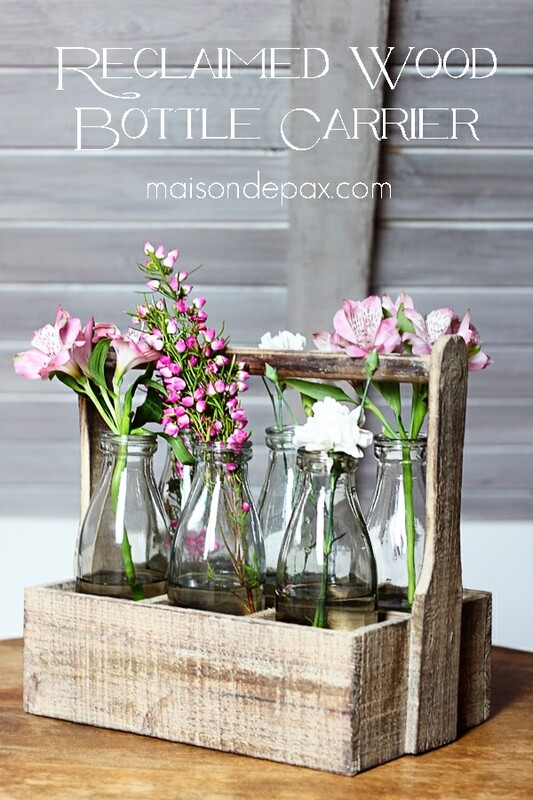 « Exciting News: Boutique Maison de Pax Now Open! I have something like this done as a toolbox. Thank you so much, Uwe! I saw your toolbox, and it is wonderful. I may need to make a toolbox for myself now. 🙂 Thank you for your kind comment! so pretty! 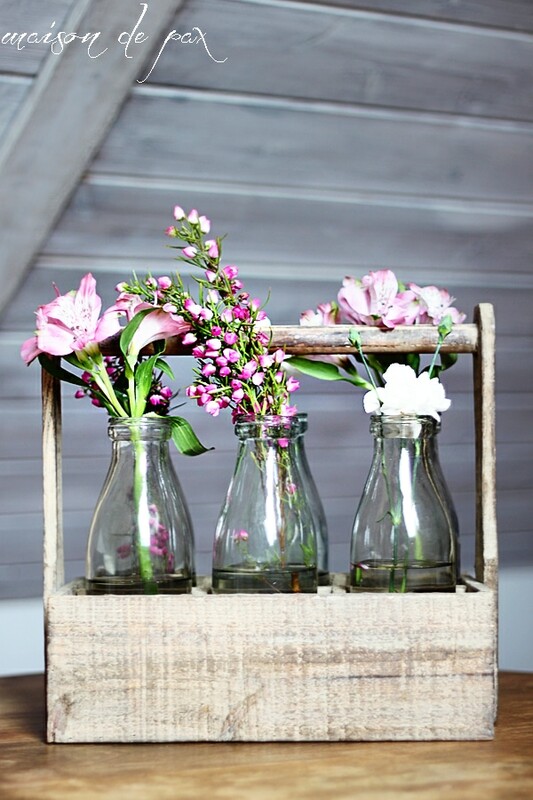 always love a good repurposed toolbox! 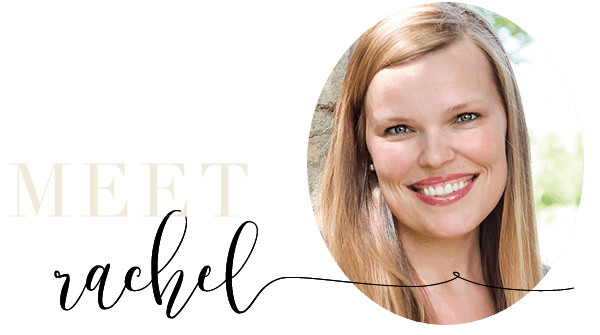 Lovely Rachel – such a stunning piece!! Thank you so much, Sonnet! I’m so glad you like it!! Thank you so much, Kammy! I’m so glad you like it, and I so appreciate your sweet comment and the invitation! This is so darn pretty! 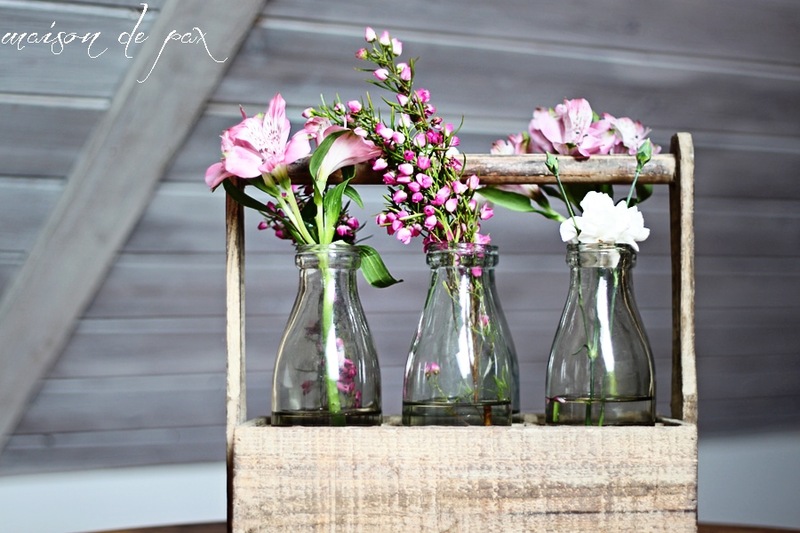 I’m a sucker for reclaimed wood and this caddy is just gorgeous, especially with those jars and flowers inside! LOVE! It makes me smile every time I see it. 🙂 So glad you like it! Wow! This is so stinkin’ cute and your photography is dang amazing! I need to go hunt for an adorable bottle carrier like this now. 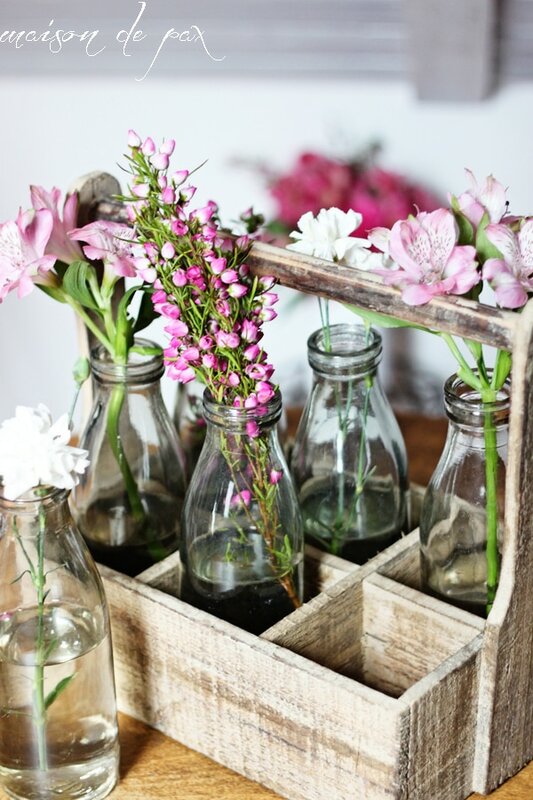 I have some old bottles of my great grandparents from the 30’s that I would love to display like this! 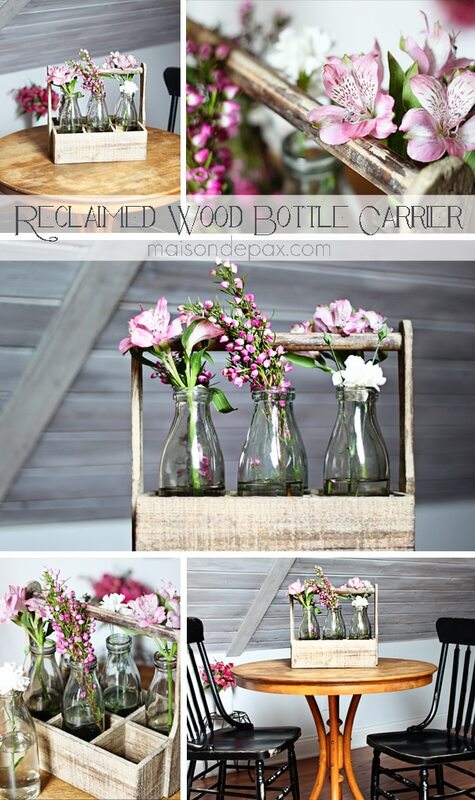 LOVE, LOVE, LOVE your idea for the bottle carrier. You are such an inspiration! What an awesome piece to be able to review! It’s so beautiful! I love it! And it’s perfect for your decor! Really cute! I love how it looks with the flowers added. I would love a piece like this. Great find! This is such a great project! 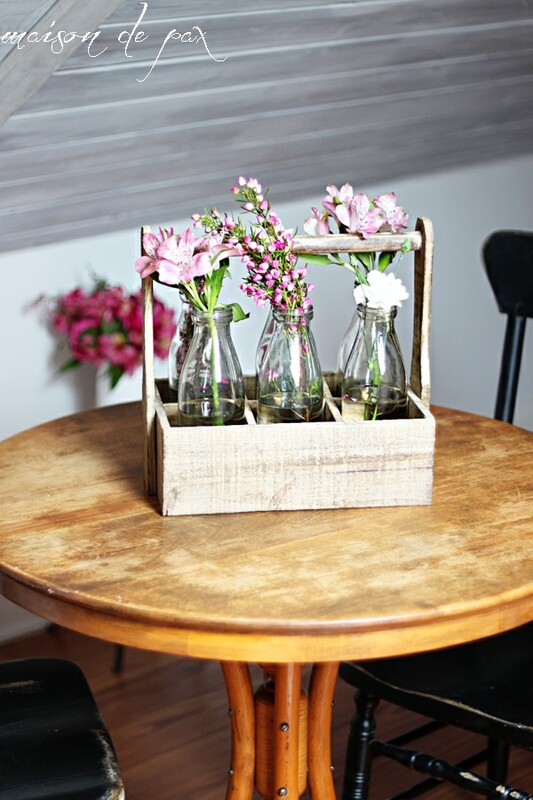 It is really cute, I may have to add to my future projects list! Thanks for sharing!